No matter how many hobbies you have right now, it’s a good idea to throw in some form of exercise. Why? 5 Reasons. 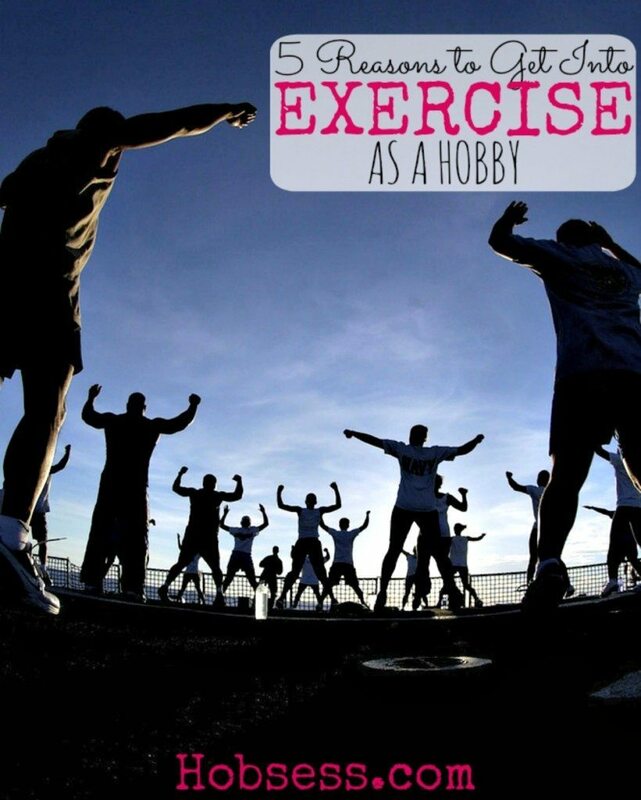 Actually, there are a lot more but I will try to cram as many ideas in to help you make exercise your hobby. There are so many physical reasons why exercise can enable you to live longer such as helping to control your weight, can be good for your heart, can prevent disease and many more. This shouldn’t be a surprise. This is a common message on TV, news, Internet, you name it. Another common draw is that exercise can stimulate brain activity. How awesome is that? That’s enough reason to dust off your gym shoes and get outside for a walk! Some exercises can be done alone while others can be done in a group or team. You can build great relationships with people who are interested in the same exercise that you are. You may not have anything else in common and that’s ok.
Having a better body also helps improve your personal relationships. Whether it is the confidence that exercise gives you or the fabulous way it makes you look, exercise helps create your irresistible attraction. It has been proven that exercising releases endorphins (the feel good hormone). Any exercising. So if you are fighting stress, a bad mood or depression, it’s seriously time to consider exercising as your hobby. Learn more from the Stress Management Society. If you aren’t used to exercising, you may think this reason is nuts. You may be out of shape and have not really exercised in years. That’s ok. You can start now with where you are and whatever you can do. Begin with walking and then go from there. If you keep at it, you will find that exercise can be fun when you pick out something that you like to do and then do it long enough to get those endorphins going. You will see. Start with this list below and click on a hobby that you might like to try. I know. There’s quite a few. And this obviously isn’t even all of them but it will give you a place to start. Let me hear from you below, which “Exercise” hobby are you ready to try? If you already exercise, what do you do and what is your reason? Give us some inspiration! Great topic! Exercise can become a part of daily life when you do it long enough. Routine is the key. I really liked running (when I was younger, of course), now I just enjoy walking. I hope I can keep it up for a long long time! You are an inspiration. I am great at starting. I want to be as great as you when it comes to routine.